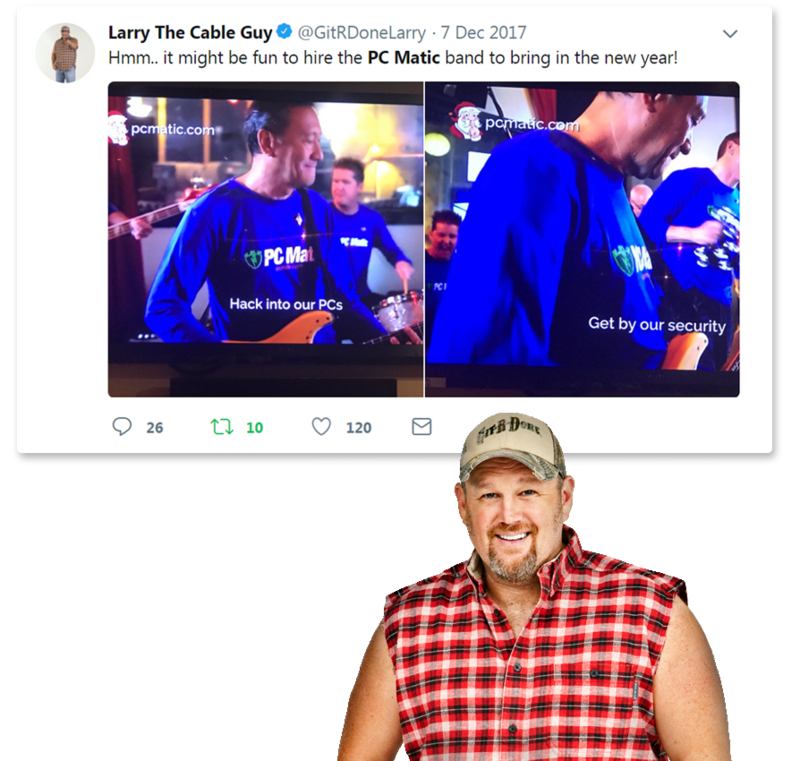 The PC Matic band is a group of South Carolina musicians dedicated to educating the public of the country's cyber security problems through music. The band made its debut on national TV in December 2017 on cable news channels such as Fox News, CNN and CNBC. We will continue to write songs and popularize the issue until the cyber attacks abate. PC Matic - Think Before You Click from PC Matic Team on Vimeo. PC Matic - IT Blues from PC Matic Team on Vimeo. PC Matic - No You Don't from PC Matic Team on Vimeo. "Bet YOUR Company Security Doesnt Have A Band"
You guys rock hard.. Love this tune its very cool. Dont listen to the haters. I'm a musician and I really like this song and this band. I don't know maybe I'm biased because old guys like us still know how to rock and actually know how to PLAY our instruments. The lead guitarist rocks! Just saw your commercial on CNN Live. I love love it!!! I catch myself singing it with my husband! Lol Love it! What a great band!!!! Omfg!!!! They slayed it. I wouldn't be surprised if they tour in 2018. You would be hard pressed to find a singer like the lead singer in this video. His facial expressions proves he is singing from his soul. Catchy tune, I like it. Those who know nothing obout music are not qualified to share their empty opinions. Get a life losers. Although Dan grew up in a musical family, he didn’t start singing and playing in bands until he was 23 years old. His early years were spent in the athletic arena where he excelled in basketball, football, and track. Dan jumped 7 feet in high school and went on to be a Letterman for High Jump at Clemson University and is in the Greenwood High Athletic Hall of Fame. After college, his musical journey began and he played in State of Disorder and Cornbread opening for Queensryche, Cravin’ Melon, Uncle Mingo, and others. 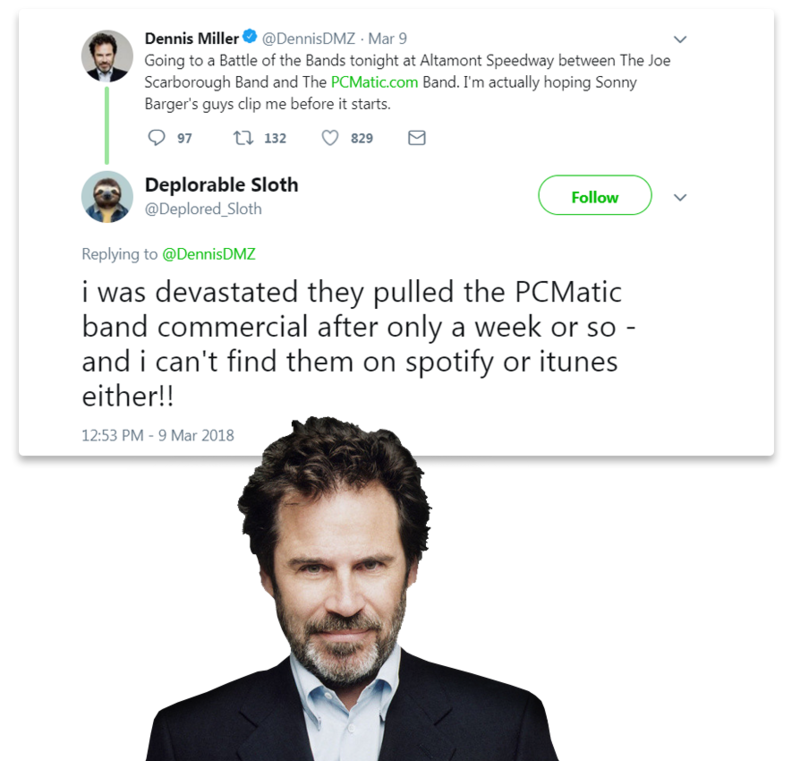 He later fronted the acoustic trio, Radio Society, released one EP, and opened for Hootie and the Blowfish, Bowling for Soup, and Edwin McCain. Dan’s latest band, The Wailing Thorns, released a full length CD, “Addicted”, in 2017, and it can be found on ITunes. He also added his voice to the Clemson Rally Song, “ALL IN”, which can be found on youtube. Dan is the owner of Cambridge Financial and Insurance Group and lives in Simpsonville, SC, with his wife Lynn and their two sons. Rick started drumming at a young age playing in his basement in Greenwood, SC, jamming with friends on Van Halen, Lynyrd Skynyrd, the Stones, Molly Hatchet, and Thin Lizzy. While in college at Clemson University, he joined a band called the Next Move and travelled around playing at many of the universities and clubs in the Southeast; and also opened for the Psychedelic Furs, the Producers, Widespread Panic, the Smithereens, and others. Rick was a founding member of the band Cravin’ Melon who signed to Mercury Records in 1996 and released their debut record in January 1997. The first single, “Come Undone” written by Rick, peaked at #35 on the Modern Rock chart and the band toured the country opening up for Hootie and the Blowfish, Bon Jovi, Sister Hazel, Edwin McCain, ZZ Top, Los Lobos, and others. In the Summer of 1998, the band released a live album recorded at the House of Blues in North Myrtle Beach, SC. That same year, the band was named South Carolina Entertainers of the Year. As a songwriter, Rick has also had three songs in the top 10 of the annual CMT/NSAI Song Contest which has earned him single song publishing contracts and an Epiphone guitar. Currently, he lives in Simpsonville, SC, with his wife Heather and their four children; and plays at his church and occasionally at corporate and charity events. He is the owner and president of Holland Consulting, Inc., and has been a Green Bay Packers fan his whole life. Rick Ward hails from Greenwood SC and was the guitar player for the now defunct party band Simon Sez which traveled the southeast bar/college circuit in the late 1980's and into the late 1990's. More recent projects include Radio Society and the Wailin' Thorns with Dan Watson And Rick Reames. During his career, Rick has had the privilege of sharing the stage with acts such as Dreams So Real, The Itals, Hootie & The Blowfish, Cravin' Melon, Kevn Kinny of Drivin' & Cryin', The Swingin' Medallions, Edwin McCain and others. 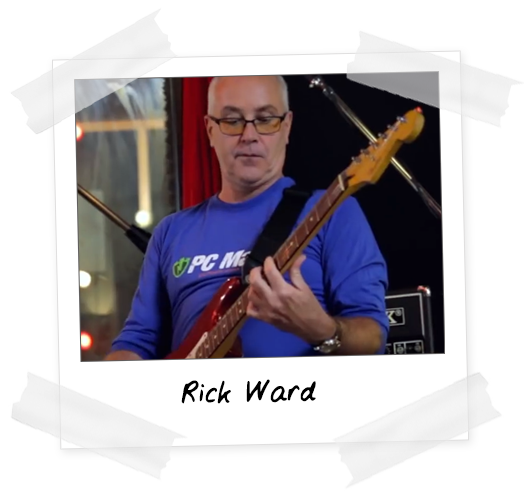 Rick also operated his own production company during the 1990's and has performed work as a sound and monitor technician for many regional and national performers. 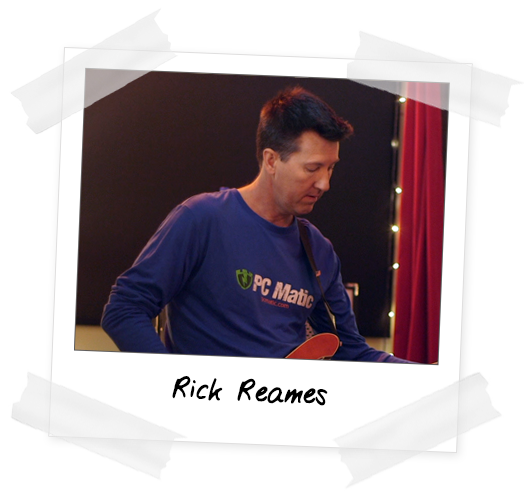 Rick began playing guitar at the age of 13 and influences are wide ranging encompassing music from Kiss to Johnny Cash. He currently resides in Greenville SC and is a Realtor with Carolina Moon Realty LLC. Brian hails from Greenville, SC, and attended Clemson University. 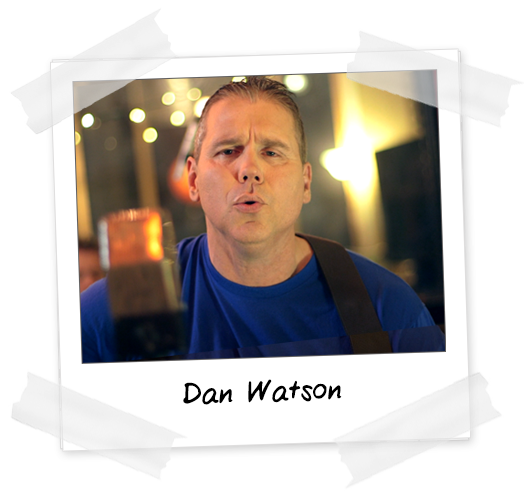 While at Clemson, he met Dan Watson and they played together in the bands State of Disorder, Cornbread, and Selma Raid, releasing original music for each band. Highlights of his days with those bands are playing at the ’96 Olympics in Atlanta, and opening for Queensryche, Dave Matthews Band, Cravin’ Melon, and Edwin McCain to name a few. He also shared the stage as drummer for Paul Colman (Newsboys) at his church. Brian has owned Little Rockstars Music for the past 13 years teaching thousands of kids to sing, dance, play instruments, and use sign language with songs. He taught drums/percussion for 7 years, giving lessons to ages 5-50. 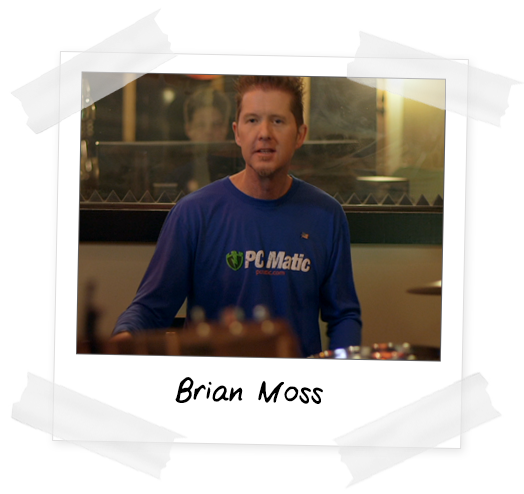 Currently, in addition to playing drums for worship bands at churches, Brian plays with the 60s/70s classic rock band, Itchy & the Chiggers, at corporate events and local restaurants/bars. He is married and he and his awesome wife have a son and daughter. Rob Cheng is the only amateur musician in the PC Matic band. Rob learned guitar when he was a teenager, and has written songs all of his adult life. Rob has written the PC Matic Band's first two songs, "No You Don't" and "IT Blues". Rob is the CEO of PC Pitstop, the makers of PC Matic, PC Matic Pro and PC Matic MSP. Rob lives in Myrtle Beach, SC with wife and two children. Originally from the Atlanta area, Michael Hucks now lives in Myrtle Beach, SC. 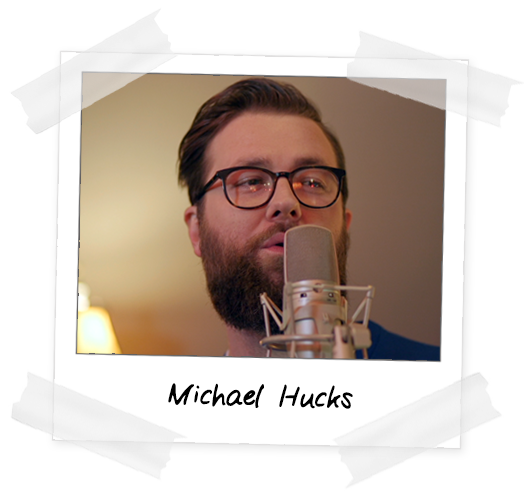 Michael spends most of his musical energy writing, recording and occasionally touring with Sweet Sweet, a regionally touring, Myrtle Beach-based folk duo. Michael's role in Sweet Sweet could be described as a "utility guy," sprinkling a myriad of sounds into the guitar/cello duo. On Sweet Sweet's EP, In Tandem, Michael recorded vocals, ukulele, the saw and the "Bell Box," an instrument of his own invention. Sweet Sweet are currently recording their first full-length album, Moon Into Motion, which is scheduled for release in May of 2018. Moon Into Motion will include Michael on the banjo, ukulele, glockenspiel and background vocals. You can catch Michael and Sweet Sweet this Summer on the Moon Into Motion tour, beginning in late July of 2018. Official tour dates will be released soon. Right out of school, Matt was a live sound Engineer for such artist as, Flat Duo Jets, Hootie And The Blowfish, Michelle Malone, Southern Culture on the Skids, Steve Morris, The Root Doctors, and Uncle Mingo. Matt began touring the country as a vocalist and guitar player with a variety of bands including award-winning Seconds Flat and The Lackies. He has shared the stage with such artist as Christian Bush (Sugarland), Yonrico Scott (Grammy Winner), The Old 97’s, Shawn Mullins, Sara Evans, and The Marshall Tucker Band. 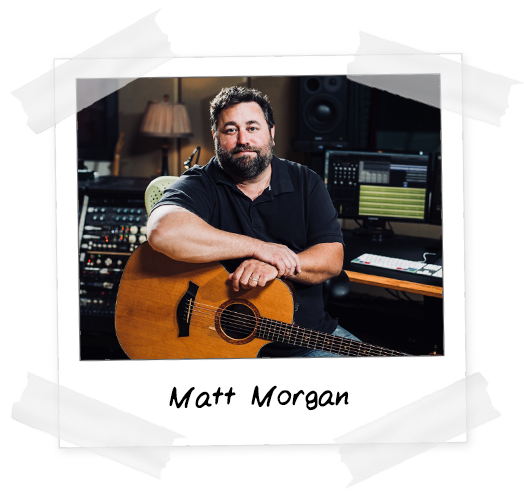 Matt is currently Owner of Sit-N-Spin Recording Studios, which Specialize in audio and video recording. Here is where he produces or engineers albums with Edwin McCain, Snarky Puppy, Yonrico Scott, DMX, Derek Trucks, and many others. Matt also is Music Editor of Fete Magazine, producing monthly videos that feature live performances of local/regional Acts. Rob Cheng and Michael Hucks from PC Matic join the RightThisMinute hosts via Skype to share their motivation behind creating music and how it has supported their business.